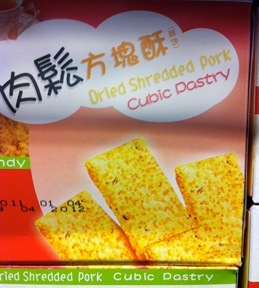 Lately I’ve had a strange hankering for something cubic, preferably composed of dried and pressed pork shreddings. Looks like I’m in luck. Oh joy. It seems that Saddam Hussein performed at least one civic-minded act in his lifetime. Apparently during a visit to Hanoi he was appalled by the poorly illustrated emergency door section. 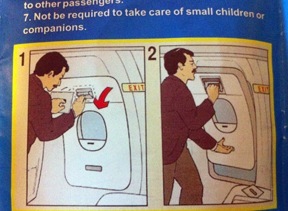 He chivalrously volunteered to pose for the airline’s next safety brochure. 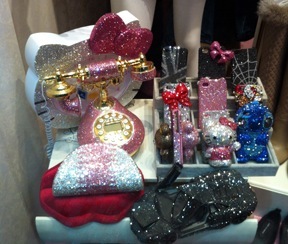 From a store in Happy Valley that specializes in bling-coated accessories, especially Hello Kitty stuff. Considering how popular both Hell O’kitty and bling are in HK, I’m not surprised they’ve stuck around despite the outrageous rent. And just look at the selection - A Hello Kitty clock anchoring the display, a working retro bling phone, a 5 pound bling purse (great crime deterrent - who’d want to steal that?) 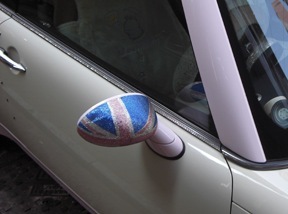 Also several impractical but hyperbling iPhone covers. Be warned though - the Stitch and Hello Kitty options are about 3 inches thick, so mere mortal pockets won’t do. And of course a blinged-out black model Ferrari, complete with gull wing doors. Just like the real Ferrari. The doors I mean. 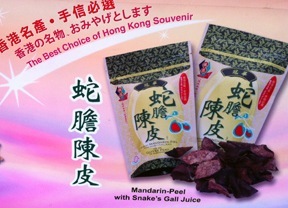 If you’re ever in Hong Kong, be sure to pick up some mandarin-peel w/ snake’s gall juice, an authentic local favorite, and the ‘best choice of hong kong souvenir’. Yep can’t walk ten feet without tripping over someone convulsing on the sidewalk, purplish froth drooling out between clenched teeth. Good for rebalancing the Qi apparently. And just look at that shiny comet underline - Its got to be the best! I think this speaks for itself; no need to dwell on what and/or whose saliva. That its listed under ‘appetizers’ makes it even more poignant. 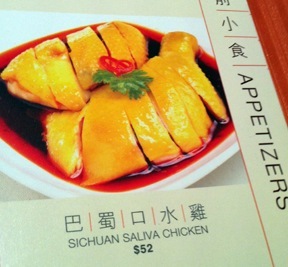 Unappetizers perhaps?